Can drones replace humans in reforestation tasks? The idea of aerial reforestation first germinated in Japan with the ancient practice of tsuchi dango (earth dumpling). It was popularised by Masanobu Fukuoka, a proponent of natural farming, in the 20th century. Aerial seeding for forest restoration has been practiced since 1926, when aircraft were used for the first time to revive burned tropical forest in Hawaii. However, it was only in 1999 that the idea of seed bombing on an industrial scale got the attention. The US manufacturer, Lockheed Martin Aerospace, decided to plant 900,000 young trees in a day. The C-130 transport aircraft, generally used for laying landmines across combat zones, was recommended for Scotland. Places difficult to access by humans are easily reachable by drones. That’s one of the arguments driving countries to aerial seeding. At a time when the world wants to ensure efficient coverage of a large area in least possible time, seed bombing by drones is increasingly being looked upon as a feasible solution. Apart from shifting the burden of forest restoration from villagers to advanced drones, aerial seeding leads to better crop yields. Moreover, this process of bombing seeds is non-disruptive to crops. Aerial reforestation works best when wet soil conditions and rolling terrain prevent other methods of treating an area. Aerial application does not cause soil compaction, hence prevents soil runoff. This type of seeding technique will be most useful for tropical forests because they absorb carbon much faster than other forest types and also support much higher biodiversity. So far, reforestation has largely been dependent on manual labour and basic tools, including spades and machetes. With the attention now shifting towards developing automated forest restoration, soon it could be a thing of past to see villagers carrying 20-30 kg of saplings on their back and walking steep slopes to dig holes and plant trees. “Forest restoration has to be dragged out of the stone and into the drone age, because with a little foresight and technological innovation, drones could perform many of the routine tasks of forest restoration, without the hard labour and consequent risk to people’s health,” said Stephen Elliott, co-founder and research director of the Forest Restoration Research Unit of Chiang Mai University (FORRU-CMU) in Northern Thailand. The time-consuming method of sending people to difficult terrains to plant seeds manually is unlikely to help the world achieve reforestation goals set by the UN. According to the New York Declaration on Forests in 2014, the commitment to restore 350 million hectares of deforested and degraded lands by 2030 was made. The area is as big as India and more importantly, a large part of the area is likely to be remote and rugged. This target looks even more humongous when the Food and Agriculture Organization estimates suggest that some 129 million hectares of forest vanished since 1990. Logging, slash-and-burn agriculture and infrastructure development have not only destroyed forests but also the mechanisms of regeneration. Hence, nature is not as effective at restoring forest ecosystems as it once was. In August 2015, Andhra Pradesh government had launched the aerial seeding programme using Indian Navy helicopters. At least 15 locations were identified across an area of 3,320 hectares. In June 2016, Chief Minister Chandrababu Naidu announced the government’s decision to take up aerial seeding on a massive scale in collaboration with the Civil Aviation Ministry. In the neighbouring state of Karnataka, Vikas Education Trust, an educational institute, launched a tree-planting drive in June 2016 to drop 1 lakh saplings, especially the rare ones, in empty forest land in Western Ghats. How did it plan to deploy seeds using drones? Firstly, a 3D aerial survey of forest lands will be conducted as drones will fly over potential planting zone and capture photos of the area. After a 3D map is created and a seeding plan is drawn up, the data is analysed to identify seeding pattern suitable for that particular terrain. In the penultimate stage, drones would carry pressurised canisters of seed pods with germinated seeds immersed in a nutrient-rich gel. The drones fire the biodegradable seed pods down to the ground. The pods break open due to the impact and allow germinated seed to take root. The inspiration to experiment with aerial seeding came from the UK where a start-up company, BioCarbon Engineering, has been developing automated drones for large-scale automated reforestation. The company aims to plant one billion trees a year. Before the world can see drones effectively replacing humans when it comes to planting seeds, a lot needs to be done on the technology front. According to Simone Pedrini, a doctoral student at Curtin University in Perth, Australia, drones may reduce costs, but one cannot rule out the possibility of seeds falling on the wrong spot. “Even when they reach the ground many variables can hinder the emergence of seedlings, such as soil composition, animal predation and weed competition,” said Pedrini. While drone-based forest restoration is possible, some technological limitations still persist that prevent it from becoming a much better alternative to manual seeding. The foremost challenge is the advancement of sensing capabilities of drones before forest restoration can take off. 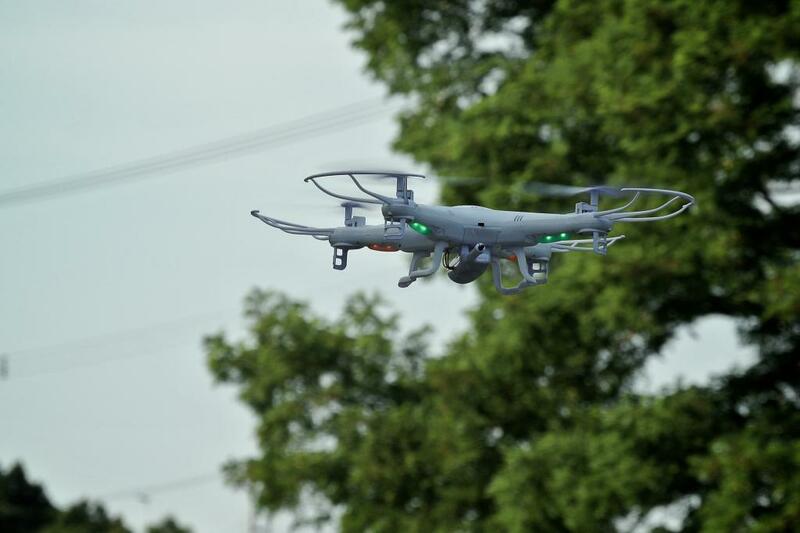 This would be important, especially if drones are used to control the weeds. They have to adopt “smarter spraying” strategies by using visual plant-recognition systems so that they blow the spray on the weeds and not the young trees.